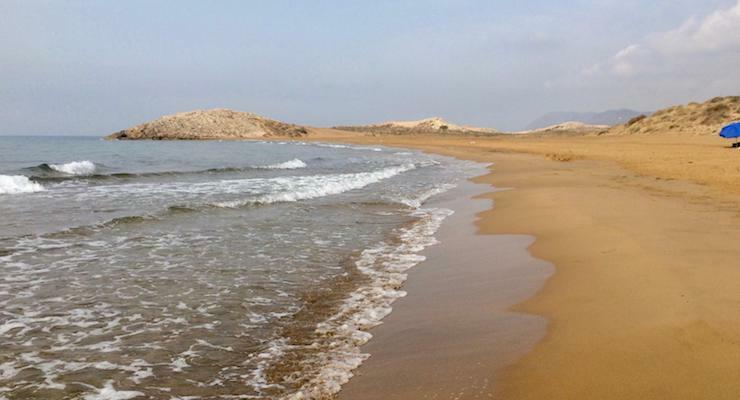 Home / Destination / Europe / Spain / What’s it like to stay at La Manga Club? 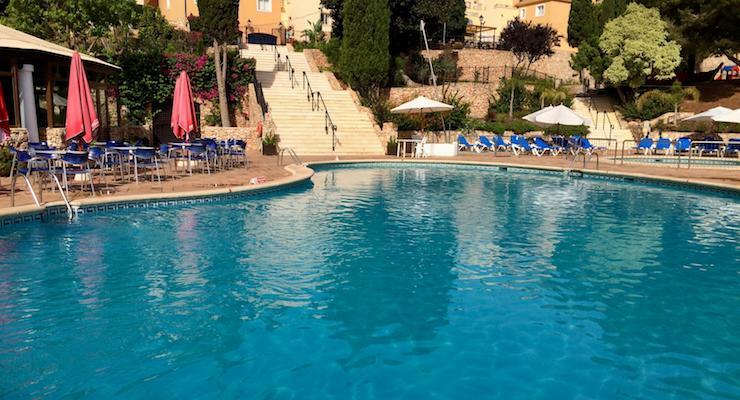 What’s it like to stay at La Manga Club? Usually we travel around rather than staying in one place during our family summer holiday, so that we can explore as much as possible. But when we were planning this summer’s trip the kids (18 and 14) said that they just wanted to stay in one place and relax. So we needed to find somewhere that each of us would enjoy staying at, a place where the kids (our two, plus a friend of our son’s who came with us) could relax and from where my husband and I could go and find some cultural stuff to explore. We ended up booking a fortnight at La Manga Club, a luxury resort on the coast of Murcia in south-east Spain, on the Costa Calida. The resort stretches across 1,400 acres and encompasses, amongst other things, the five-star Hotel Principe Felipe, the four-star self-catering Las Lomas Village, a clutch of decent restaurants, a spa and some top-notch sports facilities. 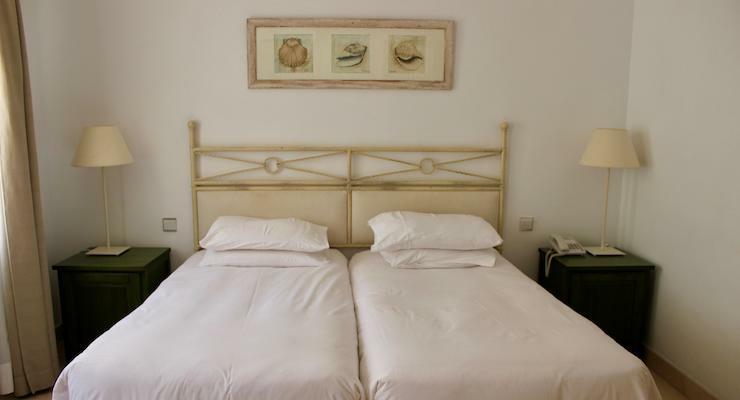 The resort is next to a protected coastal nature reserve, Parque Regional de Calblanque, at the start of the La Manga peninsula, and the ancient city of Cartagena is around a 20-minute drive away. 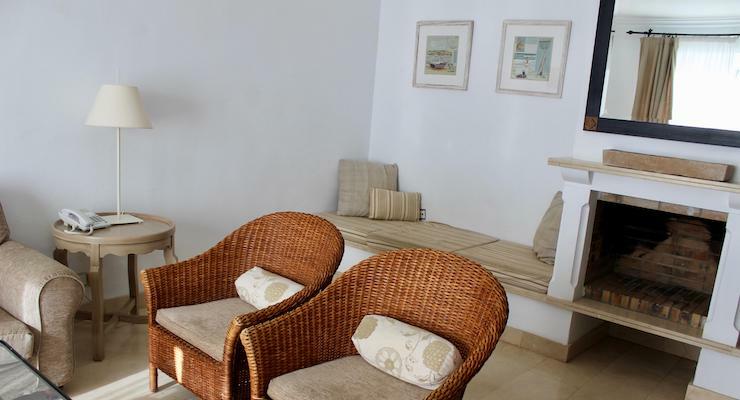 We stayed in a three-bedroom townhouse in Las Lomas Village, and it suited us very well. Each bedroom had an en-suite bathroom and the house spread over three floors. The boys had the ground floor bedroom, accessed via a spiral staircase from the first floor. The entrance, kitchen, living area and a cloakroom were on the first floor, and there was a terrace with a barbecue outside the living area. The other two bedrooms were on the second floor. The decor was all white walls and pale furniture and it felt very light and airy. There was air-conditioning throughout the house, which was definitely needed as it was very hot during our stay. There was free wifi at the house and around the resort, although it didn’t work everywhere (there was no wifi in the downstairs bedroom, for example). The house was cleaned, and beds and towels changed every three days. The property was quite well-equipped – it had a dishwasher, washing machine and microwave, for example – but unfortunately quite a few things didn’t work properly or were missing from our house. For example, there was no safe when we arrived, but a new one was installed after a week, the air-conditioning unit in the boys’ room stopped working but was replaced the following day and there was no hot water in one of the bathrooms for three days. At one point it felt like I was calling reception several times a day to ask for things to be fixed or provided, which was a bit of a drag, but everything was sorted out, sooner or later, and we were hosted for dinner at one of the resort’s restaurants by way of an apology. 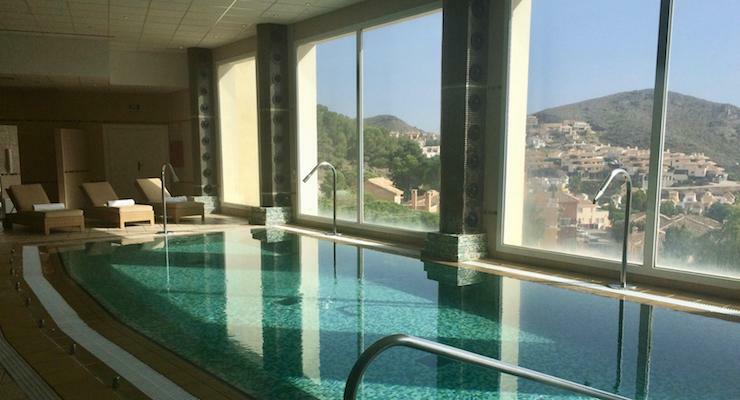 Spa La Manga Club is in the middle of Las Lomas village and has an excellent 25-metre indoor pool, gym (for over-16s only), spa and treatment rooms. I love swimming for fitness and really enjoyed using the indoor pool for the first few days of our stay, as did my husband and the kids. Unfortunately this pool closes for maintenance for the month of August, which we were not told about in advance. My daughter and I spent a relaxing afternoon at the spa (over-16s only) trying out the various pools and the steam room. My husband went to the gym most days and said that it was excellent. For the first few days of our stay the Cadiz football team were also staying at the resort (much to our boys’ excitement), training at its professional football centre, and my husband was exercising at the gym alongside the footballers. Besides the indoor pool there are two outdoor pools at Las Lomas. One is mostly shallow and so is preferred by families with young children, the other is deeper and is where we went most days. Once the indoor pool closed, I tried to get to this outdoor pool at 10am when it opened so that I could swim a few lengths before it filled up with inflatables! Both pools have shallow baby pools and a children’s playground next to them, and towels are provided. The resort’s excellent sports facilities attract professional sports people but are also open to all levels. There’s a professional football training centre, a tennis centre, three golf courses, various swimming pools, and La Manga is an official triathlon training centre. There’s a variety of sports courses available for kids – unfortunately my son couldn’t take part in any of these as he had an injury at the time. There are various restaurants around the resort, and we tried three of them. In each case the staff were great. La Bodega is a good place for tapas and when we visited there was live flamenco music and dancing, which was entertaining. La Cala is a fish restaurant with an open terrace at the beach. We went there for paella (a fish version and a veggie version) on my daughter’s birthday. It was a good evening but the food was just OK. We were invited to dinner at Luigi’s Italian restaurant as a result of the issues with our accommodation. We usually avoid Italian restaurants in Spain, but our dinner at Luigi’s was good, especially the pizzas. La Manga Club is built on hills above the coast, and our Las Lomas accommodation was a 10-minute drive from the resort’s beach, which is in a sheltered cove. The beach is shingle, there are towels provided and you can hire sun loungers there. The resort has a small, well-stocked supermarket. We assumed that the prices were high, but actually they were comparable to the bigger supermarkets that we went to outside the resort. We bought most of our supplies here. There’s a kids club at the resort for ages 3 months to 12 years. As La Manga Club covers a large area, free transport is provided for guests within the resort. If you need a lift, you just ask any member of staff to arrange one for you. The boys used this service a lot and it was great that they could be independent from us and explore on their own. We also used this service when we went out in the evenings. The resort is named after the nearby La Manga (which means ‘the sleeve’) peninsula, a narrow strip of land which is bordered by the Mediterranean sea and the Mar Menor lagoon. La Manga strip is around 12 miles long and and large parts of it are covered with unattractive high-rise blocks of holiday apartments. We didn’t go there very much as it didn’t really appeal. You could just spend all of your time at the resort, which is what our boys chose to do, apart from a go-karting trip and an evening at a local tapas place (El Toro in Los Balones – definitely recommended). 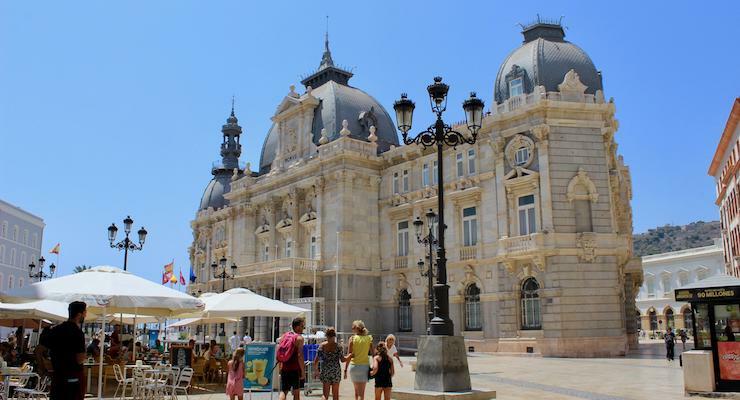 The rest of us enjoyed visiting Cartagena (Roman amphitheatre, ancient port, medieval castle), the unspoilt beaches of the Parque Regional de Calblanque, the lighthouse and the market at Cabo de Palos and a boat trip across the Mar Menor. We thought about visiting Murcia, the regional capital, but we ran out of time. We flew to Alicante from London Gatwick and booked a hire car from the airport for the duration of our stay. It’s definitely best to have a car at La Manga, unless you just want to stay at the resort. Overall I enjoyed our stay at La Manga Club, and found it relaxing. It was annoying that we had so many problems with our accommodation, but everything was sorted out in the end. I was disappointed that the indoor pool was closed for most of our stay. It would be good if the resort offered more facilities for young teenagers – at 14 the boys were too old for the play areas and kids club and too young to use the gym or spa. I enjoyed exploring Cartagena and Calblanque. It was extremely hot during our stay (late July to early August) and if we weren’t restricted by school holiday dates I’d prefer to come here in spring or early summer. My son’s friend says: ‘I liked it when the Cadiz footballers were there at the same time as us’. Have you been to La Manga Club? If not, is it the sort of place which you would enjoy staying at? Is there anything that you’d like to know about our trip? Disclosure: This post contains some affiliate links, which means that if you clicked through and booked, I may receive a small commission. This was a family holiday which we booked and paid for ourselves, in full. All opinions, text and images are my own, as ever. What a great spot! We just loved Spain when we visited but there was so much we didn’t get to see! We need to get back and continue exploring. This looks like a fantastic home base! There are so many great places to explore in Spain – I hope that you manage to return there some day. 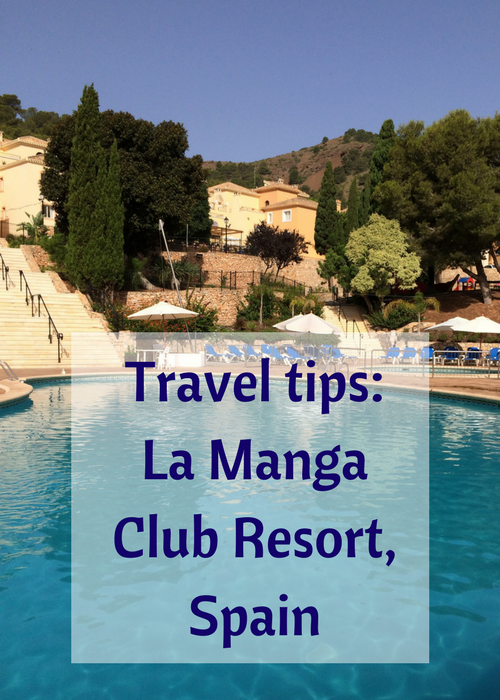 We haven’t been to La Manga so I was curious to know what you thought of it. I can understand why the family opted for a ‘stay put’ holiday. That happened to us a few years ago and we chose two weeks in a similar resort on the Algarve. Sounds like the boys had a great time, especially meeting the footballers. They really were thrilled about the footballers, especially when they managed to have photos with one of the players!